Expected symptoms: Symptoms are not expected. Watercolors are a fun activity for kids to practice their fine motor skills however, children often become curious about the colored water that is made as they dip the paint brush. Thinking it might taste good, kids may put the brush in their mouth or drink the water used to clean off the brush. 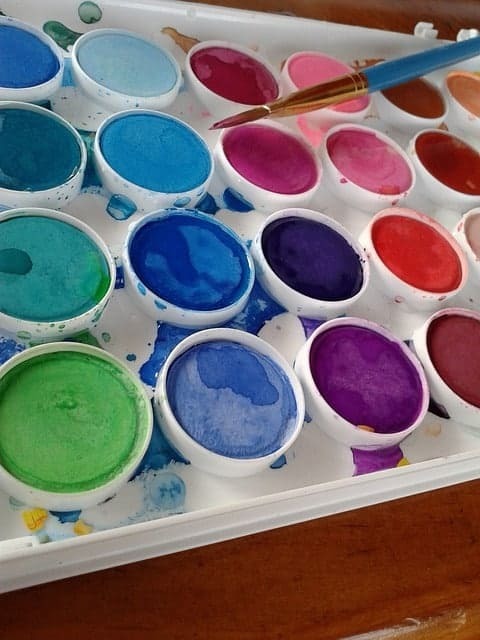 Watercolors are made of pigments and binders. They are essentially non-toxic and are not expected to cause symptoms when ingested in small amounts. If your child has swallowed some watercolor, do not panic. Take the paint away from your child, wipe off any visible product from their hands, and then wash the hands and fingers with soap and water. Give them a drink of water to wash the watercolor down to the stomach. If problems start or you have questions, call the Missouri Poison Center right away at 1-800-222-1222. The poison center is open all day, every day for poisoning emergencies and questions.